A postcard featuring a hand-coloured (?) 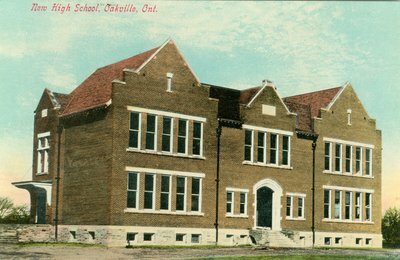 photograph of a "New High School" in Oakville. New High School, Oakville, Ont.